Google today launched Android Q Beta 1, available for download now at google.com/android/beta. The first beta includes a preview SDK for developers with system images for the Pixel, Pixel XL, Pixel 2, Pixel 2 XL, Pixel 3, Pixel 3 XL, and the official Android Emulator. This is the fourth year running that Google has released the first developer preview of the next Android version in March — Android N (later named Android Nougat), Android O (Android Oreo), and Android P (Android Pie). For the past two years, Google did not use the Android Beta Program, which lets you get early Android builds via over-their-air updates on select devices. That changes with Android Q — Google is making the first preview available as a beta, not just as a developer preview. That signals that it is ready for early adopters to try, in addition to developers. As before, this preview version will be referred to as Android Q until Google picks a name starting with that letter. Device location: Giving users more control over when apps can get location, including when the app is not in use (in the background). Users will be able to give apps permission to see their location never, only when the app is in use (running), or all the time (when in the background). Scoped storage: Giving more control over access to shared files. Users will be able to control apps’ access to Photos, Videos, and the Audio collections via new runtime permissions. For Downloads, apps must use the system file picker, which allows the user to decide which Download files the app can access. Developers will also have to change how apps use shared areas on external storage. Background activity starts: Reduce interruptions like apps unexpectedly jumping into the foreground and taking over focus. Apps will be prevented from launching an Activity while in the background. Developers will still be able to get the user’s attention quickly — such as for incoming calls or alarms — with a high-priority notification a full-screen intent. User data IDs: Limiting access to non-resettable device identifiers, including device IMEI, serial number, and similar identifiers. 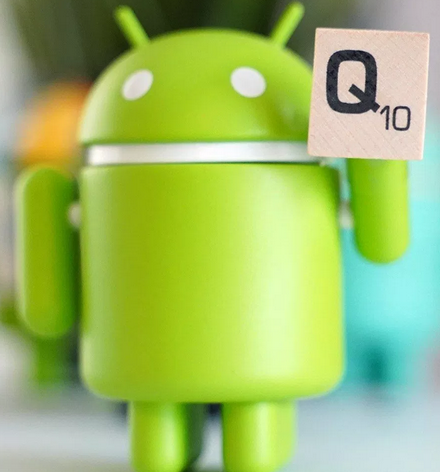 Android Q will also randomize the device’s MAC address when connected to different Wi-Fi networks by default (optional in Android 9 Pie). Foldables and innovative new screens: Apps will be able to take better advantage of these and other large-screen devices. Changes to onResume and onPause support multi-resume and notify your app when it has focus. The resizeableActivity manifest attribute now helps manage how your app is displayed on foldable and large screens. Sharing shortcuts: Faster sharing to other apps. Sharing Shortcuts, which let users jump directly into another app to share content, are getting faster. Developers can publish share targets that launch a specific activity in their apps with content attached, shown to users in the share UI instantly because they are published in advanced. Because Sharing Shortcuts is similar to how App Shortcuts works, the ShortcutInfo API now integrates both and is supported in the new ShareTarget AndroidX library (early sample app source code).